Lisa Vargues is a Curatorial Assistant at The New York Botanical Garden’s William and Lynda Steere Herbarium. Her work includes digitizing plant specimens for the C. V. Starr Virtual Herbarium, with a focus on the West Indies, the Amazon Basin, and historical specimens from the United States, Canada, and Mexico. One evening as twilight settled over the garden of Hammarby, an idyllic farm near Uppsala in Sweden, a botanically inclined young lady noticed flashes of light emanating from her family’s nasturtium flowers (Tropaeolum majus, commonly known as Indian cress, or indiankrasse in Swedish). Intrigued by this phenomenon, she wrote a paper about it, which was published by the Royal Swedish Academy of Sciences in 1762, when she was 19. Her name was Elisabeth Christina von Linné, and she was a daughter of the preeminent scientist Carl Linnaeus (also known as Carl von Linné), who devised the system for naming species that scientists use to this day. As a woman, Lisa Stina (as she was known) was not permitted to have formal schooling, but she developed a great interest in botany, which her father supported. The mystery of the “flashing flowers” came to be known as the “Elizabeth Linnaeus Phenomenon,” which some believed to be caused by phosphorescence or electricity. Professor F. A. W. Thomas of Germany, however, explained in a 1914 paper that the phenomenon is optical, a result of the way our eyes perceive the flowers’ colors in the twilight. 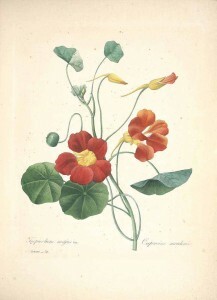 Nasturtiums were not all that shone in Lisa Stina’s eyes. Daniel Solander, the renowned Swedish naturalist and explorer who became Carl Linnaeus’s star pupil, fell in love with Lisa Stina. But Solander pursued his career in England and, in 1768, sailed off on the HMS Endeavour with Captain James Cook and Sir Joseph Banks on their famed exploratory voyage to the Pacific Ocean. Alas, Solander never returned to his “sweetest mamselle Lisa Stina” in Sweden. 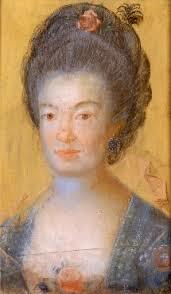 The year that is now reaching twilight marks the 270th anniversary of Lisa Stina von Linné’s birth and the 280th of Daniel Solander’s. 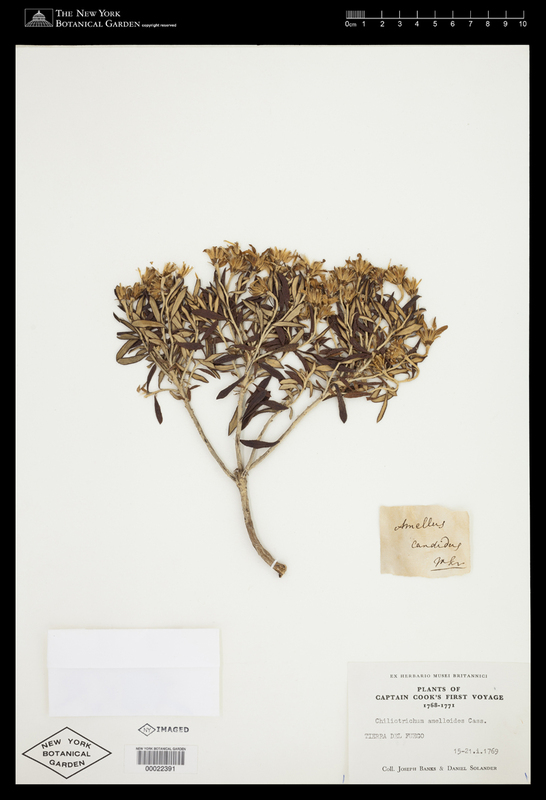 Pictured below is a preserved 1769 specimen of Chiliotrichum amelloides collected in Tierra del Fuego at the tip of South America by Sir Joseph Banks and Daniel Solander on Captain Cook’s first voyage. It is now one of 7.3 million specimens stored in The New York Botanical Garden’s William and Lynda Steere Herbarium. The handwriting on the small note has been identified as Daniel Solander’s.